The Cobra Trusty Rusty wedge dates back to 1997, but in 2011 Cobra brought the design back to life releasing the updated Cobra Trusty Rusty wedge. 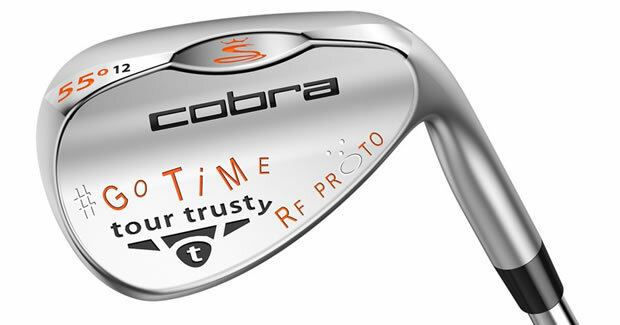 Now for the 2014 season, Cobra are at it again launching the Tour Trusty wedge. Available in either Tour Matte Satin or Black PVD finish, the Tour Trusty has been designed to offer the precision, versatility and shape that Tour players prefer. The shape of the Tour Trusty wedge has been designed to suit the eye of the game's better players. A tear drop profile is combined with a non-offset design and a straighter leading edge, made to improve alignment and look at address. Most of the performance changes come via the grooves however. 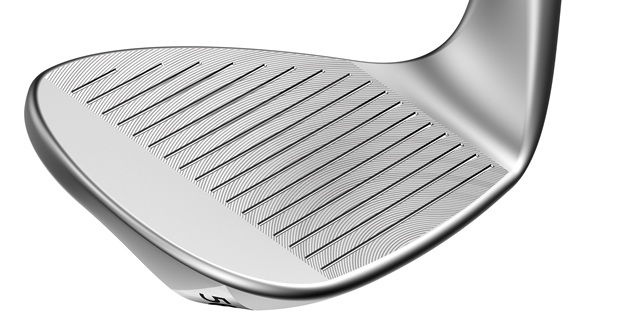 The grooves on the Tour Trusty have been milled to produce grooves that are 15% larger than before. Cobra's VFR (Variable Feed Rate) milling produces two depths of milling between the new grooves. This process creates twice as much surface roughness than the 2011 Trusty Rusty wedge, to grip the ball more at impact and impart more spin. The iconic Tri-Bounce sole is featured again in the Tour Trusty wedge. Cobra believe this K-Grind design has the heel and toe relief to offer versatility to suit long, medium and short shots, as well as chips and pitches around the green. As well as the nine loft options offered in the Tour Trusty wedge, Cobra have released a limited edition version. 1,600 of these limited wedges will be available in 55 degrees, and feature Rickie Fowler's custom stamping on the clubhead. “Our Research & Development team worked tirelessly with our Tour athletes like Rickie Fowler, Ian Poulter, Lexi Thompson and Jonas Blixt to create the Tour Trusty wedge,” commented Tom Preece, Vice President of Research & Development. We test and review review Cobra's latest better-player wedge.